RTV2 liquid mold making silicone rubber for duplication is a kind of two parts silicone rubber, part A is liquid silicone, part B is curing agent. 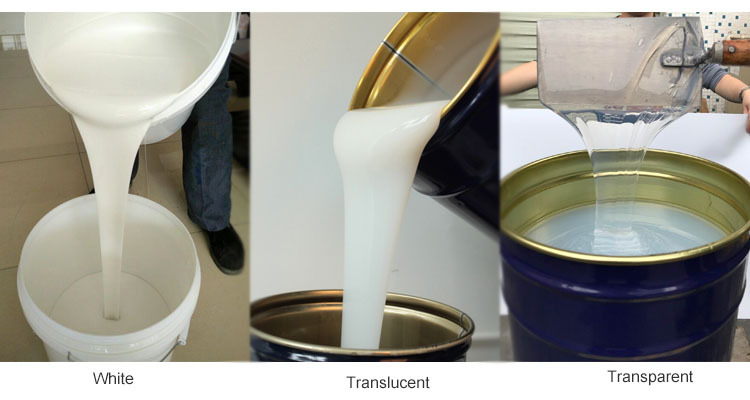 There are two types of liquid mold making silicone rubber for duplication, one is tin cure silicone rubber, the other one is platinum cure silicone rubber. It has excellent performance of high duplication times. 1. Easy to operate,make the mold quickly. 2. 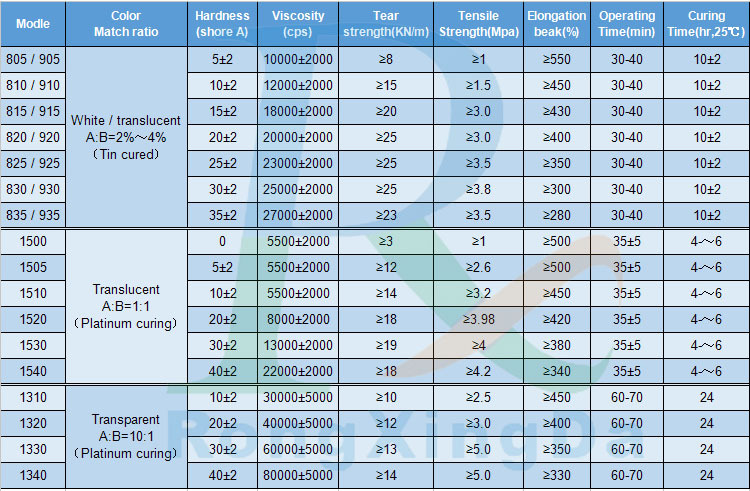 Temperature resistance from -50℃ to 250℃,acid and alkali resistance. 3. Good elasticity,high duplication times. 4. Low shrinkage to keep the finished production with perfect size. 5. Environmental friendly and non-toxic,the shelf life up to 12 month . Step5: Waiting for the silicone rubber fully cured then demold. 1. These two parts need mixing thoroughly to avoid incompletely cured. 2. If you use platinum cured silicone rubber,do not contact with acid,alkali and other chemical products to avoid uncured. 3. It can cured at room temperature or heat cured. Tips: The above is our factory common data, we can produce the products according to customers requirements and provide the free samples for test.